Loreto, located in Baja California Sur, about 5 hours by car north of Cabo San Lucas, continues to get its fair share of headlines. Fortunately over the past few months they’ve been positive, and the little fishing village that could is proudly fighting its way through the nasty real estate slump that has impacted resorts and developers in the region. With the official tourism board set to launch a new web site, Villa Group Resorts announcing that they are on track, and additional airlift, things you might say are looking up. Bit of SSC trivia for those new to this site: Loreto, Baja California Sur is actually the reason for our beginnings here. Clint should some day write more. When they purchased their home in early 2006, they began to share stories, photos and videos from the area on StarkSilverCreek. Turned out, a lot of other home owners lived in the SF Bay Area, and thanks to their early support and readership, the site’s topics expanded over time into related areas: food, wine, theater, arts. But the Loreto adventure is not complete – there is much more to come on that. Meantime, here are some of the aforementioned and pertinent headlines to those fans of the beautiful town of Loreto, overlooking the shiny Sea of Cortez. Those interested in learning more about Loreto, might want to check out the SSC Loreto Guide. Getting to Loreto is always a hot topic, and rightfully so. Increased options give travelers more flexibility in scheduling their trips. Ultimately it can be the difference between success and failure of a tourist destination, so it’s no surprise the attention given to the carriers, number of flights, and ticket costs. Alaska Airlines currently operates flights in and out of Loreto three times per week (Wed, Thu, Sun). AA 216, a two hour flight, departs Los Angeles (LAX) at 11:55 a.m. and arrives in Loreto at 2:49 p.m. local time (MT) on Tuesdays, Thursdays, Fridays and Sundays. The return flight 217 departs Loreto at 3:50 p.m. and arrives in Los Angeles (LAX) at 4:15 p.m.
Lynn Hamman has updated everyone on a promotion by Aero Calafia starting July 16. This could provide a great alternative to getting to Loreto. Many have suggested that you could fly in to La Paz, the capital of Baja, stock up on items at the big box stores (Costco, Home Depot, etc. ), and then rent a car to head up to Loreto. 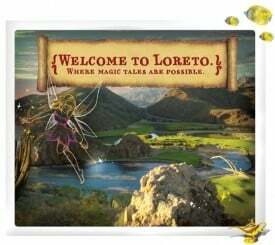 Is that an fairy spreading pixie dust over Loreto and the Sea of Cortez? 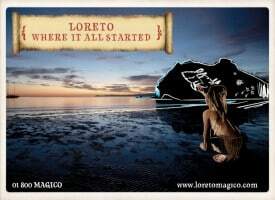 Loreto Magico indeed appears magical, if not mysterious. Cave paintings and magical fairies are at least two of the design elements used in the latest email and web marketing campaign. An effort by the tourism board, it seems a new Web Site is coming soon to promote the region. This is yet another positive sign that the economic woes impacting the area (and the rest of Baja) are finally behind – hopefully. There as been no official announcement, at least not that we’ve seen, detailing what the site will entail. But we expect it will showcase the region, and invite tourists to the area using enticing photos, and overviews of the wonderful number of outdoor activities that the area offers. Plus, the history! 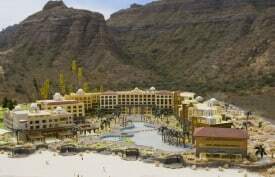 Everyone has anxiously been following the Villa Group project, Villa del Palmar Loreto; a $60 million, world-class, five-star resort featuring 171 villas, all with views of the Sea of Cortez, tennis courts, free-form multi-level swimming pools, several restaurants and five-star amenities. Note that you can even follow the construction progress by following this link to their webcam. 2010 Loreto Calendar. Photo by Cindy Lundy. 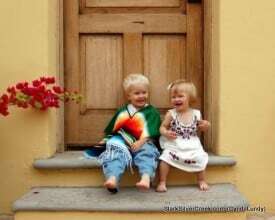 Finally, don’t forget the 2011 Loreto Calendar Photo contest! Last year was a huge hit (and sold out in record time), and hopefully the community will once again rally for a good cause. Loni has been posting updates and already collecting photo submissions. The best part is probably viewing all of the incredible photos! Follow along for a visual treat. And spread the word so we can have plenty of participation. Here is the link to some of the current submissions and updates. * Thanks to Clinton Stark, and others for helping with the content, etc. on this article. Have a news story, tip, or guest blog post? Let us know at info@starksilvercreek.com. Don’t forget to follow us on Twitter: @SSCWestCoast and Facebook.